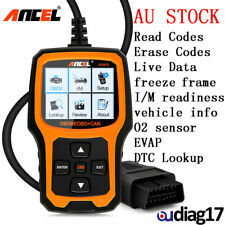 ANCEL AD410 is a great upgrade from the more basic car code reader, read and erase codes when the check engine light comes on. It shows real-time live data reported by the ECU, engine temperature, O2 sensor readings etc. Even a beginner can use this unit to find out what the problem is, saves the trips to mechanic. Built-in OBD-II DTC Look up library , Plug-and-play interface and highly reliable, Much More stable than ELM327 The Ancel AD410 scanner is well built with a large LCD display (128 x 64 pixel), indicates test results directly. No batteries,supply power through a 2.5 feet long cable and made of a very thick flexible insulator. Small size and conveniently fits in your palm. Easily determines the cause of the check engine light. I/M monitor readiness test,. 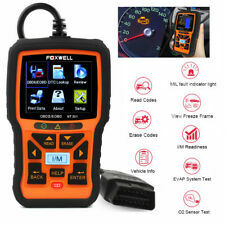 Top 6 Reasons to Choose OBD2 Engine Scanner FOXWELL NT301 OBD2 Automotive Scanner FOXWELL NT301 Three Languages Version for Choose FOXWELL NT301 OBD OBD2 Scanner Support Functions FOXWELL NT301 ODB2 diagnostic auto Support Car Models. From hands-free calling, wireless audio streaming with artist, album, and song search, simple pairing, and voice recognition, Bluetooth® wireless technology has made life in the vehicle much more convenient. Stay safe and obey local hands-free laws with built-in Bluetooth (HFP). Easily pair a Bluetooth enabled phone to the AVH-A205BT without having to go through complicated settings. You've decided to buy Pioneer. Manufacturer Part NumberFoxwell NT201. Foxwell NT201 OBD2 Scanner Features Foxwell NT201 OBD2 Auto Scanner Functions NT201 Diagnosis the Engine Fault Code Type Foxwell NT201 valise diagnostic auto Support Languages. The NT301 CAN OBDII/EOBD Code Reader from Foxwell is theeasiest and quickest solution for OBD faults. Manufacturer Part NumberFoxwell NT301. 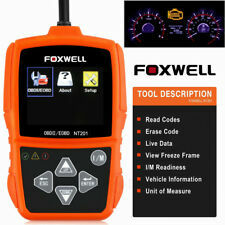 Foxwell NT301 Feature Foxwell NT301 Specification FOXWELL NT301 Car OBD2 Scanner Support Car List . General Information. You will usually receive a reply within 24 hours. Kitchen Tools. How long is the warranty on my item?. Vaccum Cleaners. Outdoor Cleaners. Vacuums & Cleaners. Wall Mounts & Stands. Bank Deposit. Suppliers of Quality Auto Parts, Auto Accessories, Tools, Auto Paints and Car Care Products. You can see the Serial number location is Picture 2. Condition: Service. Part No: VYZ-Radio-Code. You've decided to buy Pioneer. OPTIONAL REAR PARKING SENSORS FOR SPH-10BT. It's all done right here. CENTER FREQUENCY: 40 KHZ. All of the relevant paperwork etc is on hand so if you ever have an issue just know that you are covered but an Australian wide warranty! NOCO GC002. All of the relevant paperwork etc is on hand so if you ever have an issue just know that you are covered but an Australian wide warranty! When you buy from us we got you covered by Australian backed warranties! SUBARU LIBERTY, LEGACY & OUTBACK FROM 2004 - 2008. We have plenty of these in. Power Probe Functions: 1. Perform these functions: power injection, measuring, ground testing, polarity checking, continuity testing and component activation. 2. Read the AVO meter, voltage, current, and resistance easily. 3. Press the power switch lightly and get the instant heat ground lead to energize the electrical components, such as the cooling fan, relay etc. 4. Activate the components by using the hot wire and ground lead simultaneously. 5. Determine the positive, negative and open circuit quickly. 6. Test the bad ground contacts quickly, follow and locate short circuits without wasting the fuse. 7. Test the continuity of the power switch, relay and diode quickly. 8. Protect the tool from overload through the inner circuit breaker. 9.Operate the tool without looking at the menu onc. Top 6 advantages for the Battery Tester: 1. Support Multi-languages: English, Japanese, Russian, Spanish, French, Italian, German,Chinese Simple&Traditional 2. Usage scope: All car lead-acid starter battery, including regular flooded, EFB, AGM tablet battery, AGM winding battery, GEL battery, etc. 3. Suitable for: Automobile facory, garage, auto battery manufacturer, auto battery agent, educational institution, DIY enthusiasts, etc. 4. Test range: CCA100-1100, 30-100Ah 5. Test result: SOH, SOC, CCA Value, IR, Starting & Charging system, etc. 6. Test standards: CCA, BCI, CA, MCA, JIS, DIN, IEC, EN, SAE, GB The test machine can test 12Volt battery of car. Main function of BST-200 battery tester include: battery test, and other additional functions. Additional functions included: Set lan. AD310 OBD2 Scanner Features *Buitt-in OBD-II DTC Look up library, *Plug-and-play interface and highly reliable, Much More stable than ELM327 *The AD310 scanner is well built with a large LCD display (128 x 64 pixel), indicates test results directly. *No batteries,supply power through a 2.5 feet long cable and made of a very thick flexible insulator. *Small size and conveniently fits in your palm. *Easily determines the cause of the check engine light. I/M monitor readiness test, turn off the MIL (check engine light) *Reads & clears Faults code in fast speed: generic codes, pending codes and manufacturer's specific codes. *Reads live data stream. *Displays l/M readiness Status *Detects OBD-ll Freeze Frame Information *Retrieves Vehicle information (VINr CID and CVN). The New JVC KW-V340BT AV Receiver Is For You. 6.8" AV RECEIVER W/ BLUETOOTH SMARTPHONE CONNECTIVITY. JVC KW-V340BT. The unit is also boasts Bluetooth AVRCP1.5 for Versatile Song Selection. Well in addition to repeat and random playback of music files, it also allows users to easily search for songs using the browsing function. Feature: 1. Detect Traffic Monitor or stable Camera (around traffic lights) in advance,Can't detect fixed camera on the road, can detect others 2. Driving safely and avoiding Traffic fine 3. Accuracy: more than 90% Monitor or stable Camera 4. ODM & OEM Technology Service for different places and customers 5. 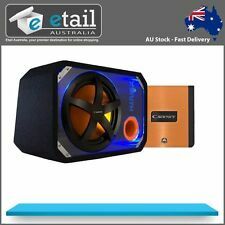 English/Russian Voice warning ,OEM Language and Voice are available 6. No special Installation and Easy Control. The image from HUDWAY Cast display is taken to a lens which enlarges it to 50cm and focuses the virtual image about 2.8m in front of you. The display brightens and dims automatically, and the projection quality does not depend on how bright your smartphone screen is. LED OFF: Receiver switch off. Electrical Characteristics (Receiver). USB interface connection port. IPX6 Water Resistant and Magnetic base for easy car roof mounting. Super-cohesive magnetic for mounting on the car. Just place your smartphone in the integrated cradle, and it will transform into an extension of your head unit. Simply connect your smartphone via wireless or wired connection, and pair with the free Pioneer Smart Sync app to enjoy a smarter, connected driving experience. Horizontal mounted type, installed on original tray gate. 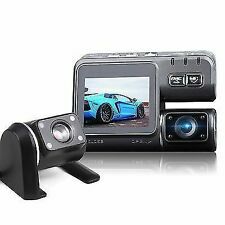 This kit will provide high quality image from your OEM stereo. Compatible Year Models: 2010 to 2013. Unless otherwise specified, we warrant our products for 1. ATO Approved 12 month warranty. ATO COMPLIANT LOGBOOKS. That’s it! No wires, No Hassle! SIMPLEST LOG BOOK DEVICE! BST-200 Battery Tester adopts currently the world's most advanced conductance testing technology to easily, quickly and accurately measure the actual cold cranking amps capability of the vehicle starting battery, healthy state of the battery itself, and common fault of the vehicle starting system and charging system, which can help maintenance personnel to find the problem quickly and accurately, thus to achieve quick vehicle repair. Support multilanguages Chinese, English, Japanese, Russian, Spanish, French, Italian, German Usage scope: All car lead-acid starter battery, including regular flooded, EFB, AGM tablet battery, AGM winding battery, GEL battery, etc. Suitable for: Automobile facory, garage, auto battery manufacturer, auto battery agent, educational institution, DIY enthusiasts. THIS IS A PLATE KIT ONLY, YOU MUST HAVE A SCOSCHE OR MAGMATE PRODUCT FOR THEM TO WORK . Inside Case. Directly to Case. Behind Battery Cover. Phone Mounts. GME PX Ranger Antenna Mount Bracket Passenger Side This quality mounting bracket from GME is designed to suit the passenger side of all PX Rangers. Ideal for those wishing to fit a UHF radio to their vehicle where there is no bullbar for antenna mounting, or the bullbar mounting points are being used for other accessories. Made from 2mm stainless steel, it mounts neatly between the top of the guard and the bonnet. This bracket is also available for the driver's side, please see our store for our driver's side bracket listing..
Stay in touch with up to three other riders via built-in Bluetooth intercom up to 1.6km away. Integrated voice prompts inform the rider on the use of their device with instant status updates on their 10C Pro. SCOSCHE MAGRKI. You've decided to buy Scosche. It is important to mount the MagicPlate in the proper location to avoid interfering with wireless charging functionality. It's all done right here. MAGIC MOUNT MAGNETIC REPLACE KIT. AERPRO AP348A. You've decided to buy Aerpro. It's all done right here. HEADUNIT ANTENNA ADAPTER. Legendary product & support from authorised dealers. NISSAN PATHFINDER (TERRANO) 1996-2004 WX, WXII. NISSAN PATHFINDER (TERRANO) 1988-1995 WD21. The included antenna itself is advanced with amplified function, high sensitivity, use the MCX port to connect. - Antenna Input Type: MCX. just buy this USB powered DAB Box to get digital radio. the most of other android 5.1/6.0 unit on the market. 1. Easily determines the cause of the “Check Engine Light ( MIL)” 2. Reads hard(memory)/pending(intermittent) and historic codes and show definitions 3. Turns off Check Engine Light (MIL), clears codes and resets monitors 4. I/M monitor readiness test 5. Retrieves vehicle information (VIN, CIN and CVN). 1. Works on all after 1996 OBD II compliant US, European and Asian vehicles 2. 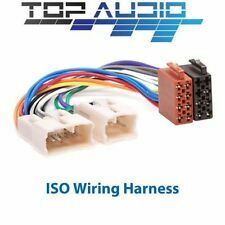 Supports ALL OBD II protocols: CAN, J1850 PWM, J1850 VPW, ISO9141 and KWP2000. 3. Auto-scan all OBD protocols: （CAN, J1850 PWM, J1850 VPW, ISO9141 and KWP2000.） Not work with some Russian Lada, UAZ, GAZ, VAZ, Ssangyong, Renault vehicle 4. With DTC definition , No need to lookup DTC Library 5. Small and portable, easy to operate 6. buttons with Humanization design 7. Multilingual Menu: English, German, French, Spa. AU STOCK ! FAST SHIPPING! 1 Years Warranty ! 1 x carplay USB. - Greatly suitable for iPhone' carplay mode,and Android Auto. 2 Plug the USB Auto Box with the USB of the DVD player, then connect with the phone with the carplay. 2 Plug the AutoBox with the USB of the DVD player, then connect with the phone with the Auto Box. AERPRO FP9166. Aerpro facia kits make installing your new car stereo head unit into the factory dash location a breeze. Aerpro vehicle specific stereo fascia kits are made from high grade ABS plastic with a high quality finish retaining a neat, professional and most importantly, a factory appearance. AERPRO ATB2. Aerpro facia kits make installing your new car stereo head unit into the factory dash location a breeze. Aerpro vehicle specific stereo fascia kits are made from high-grade ABS plastic with a high-quality finish retaining a neat, professional and most importantly, a factory appearance. The latest BT100 pro allows you to test 12V regular flooded, AGM flat plate, AGM spiral and gel batteries as a low cost solution. It provides a quick, easy and affordable solution for technicians to check battery health and detect faults. NOCO GC004. It's all done right here. Quickly extend the reach of most X-Connect accessories with 10 feet of extension cable; perfect for large cars or extending the reach of X-Connect accessories. Need a bit more cord?. Car Auto Diagnostic Scanner OBD2 EOBD OBDII Scan Tool Fault Code Reader AL201. AL201 Diagnostic Scan Tool including Basic OBD2 Functions, Reading I/M Readiness and Turning off and Malfunction Indicator Light (MIL). ODB2 OBD2 Autoscanner KONNWEI KW590 Scanner Multi-languages Car Diagnostic Scanner Tool. You've decided to buy Aerpro. 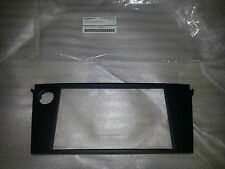 Aerpro Fp999999 Universal Double DIN ISO Mount Pla. Aerpro Fp995808 Ford Focus 2005 Din Pocket. Aerpro Fp997416 Nissan Maxima 2000-2003 Facia. Aerpro Fp991005 Facia To Suit Kia. If you spend a lot of time in the car, it is nice to have some extra comforts that can make your driving time more relaxing, enjoyable and a little easier. Driving doesn’t have to be boring or unsafe and there are many electronic devices and car electronics and accessories which you can put in your car to give you happiness and peace of mind on long journeys which you would rather not be taking. Who doesn’t love singing in the car? When no one is in the car with you, there is nothing better than belting out some notes and singing along to your favourite song on the radio. 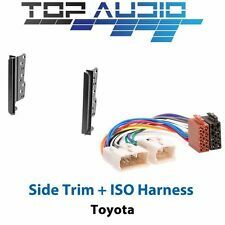 Make sure to have a great car stereo system installed so you can also listen to CDs, MP3s or hook up your phone via Bluetooth. Having a Car navigation GPS system makes driving a breeze and can get you from point A to point B faster without having to look at maps or navigate through heavy areas of traffic. Most GPS systems provide a traffic assistant that can use real time data to find the best route for your journey. As long as your car GPS has battery, you will never have to get lost again. Some GPS trackers also pair with your smartphone to keep you up to date on messages and calls that you may receive while you are driving. The latest DVD screens are super handy to have in the car as they can combine your smartphone and car stereo features all into one device. You can enjoy all your favourite music and connect your phone with Bluetooth so that you can have hands-free calling, which is important due to the laws around using phones in cars. Worried that you are going to be stuck with a dead battery out in the middle of nowhere? With a car battery tester you can easily check your battery life and make sure that you are good to go.